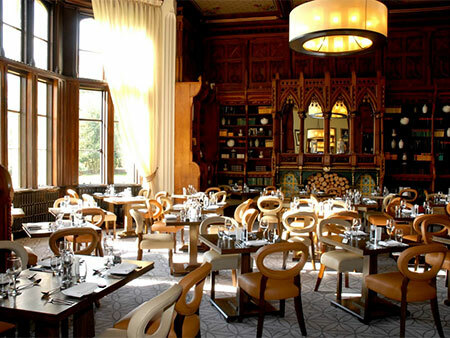 Found in the old library, Moreton’s Restaurant has maintained many of its original features including oak-panelling, ornate archways and a grand fireplace with views out across the gardens. 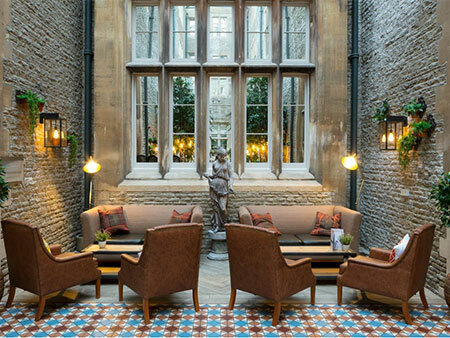 Menus make the most of British produce with features dishes including roasted pork belly with black pudding, roasted fillet of hake with cassoulet and a trio of English cheeses. 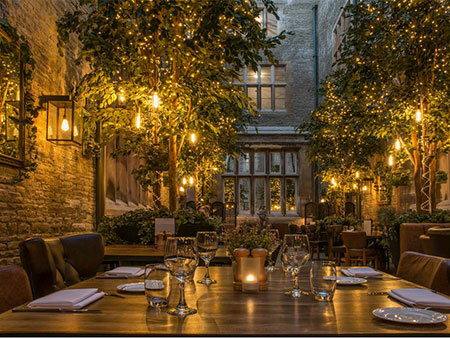 The wine list brings together some modern newcomers and firm-favourites, whilst also offering some pairing recommendations. Afternoon tea is served traditional or with a glass of champagne or prosecco and starts with finger sandwiches including Wye Valley smoked salmon, followed by freshly baked scones, tea pastries and cakes. 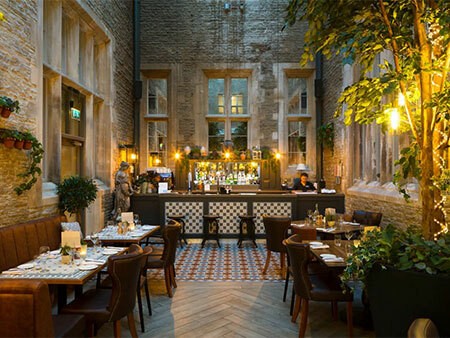 A 60-foot high soaring glass roof, exposed brickwork, indoor greenery and subtle lighting lends stylish flair to the unfussy yet delicious food served in the Atrium Bistro Bar. Choose from a range of comfort food classics along with deli burgers and stone baked pizzas. Over at the bar, a range of wines, champagnes, beers and cocktails are on offer. 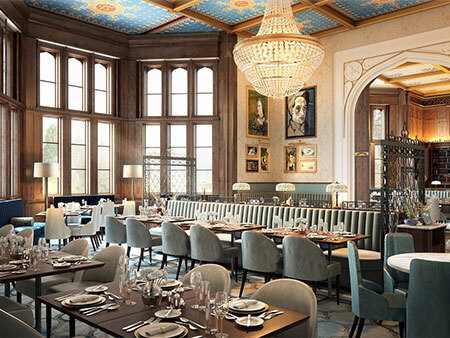 Guests can also choose to eat and drink in Brunels’ Bar and Lounge with its ornate ceiling, simple yet classic dishes and extensive beer and wine list. 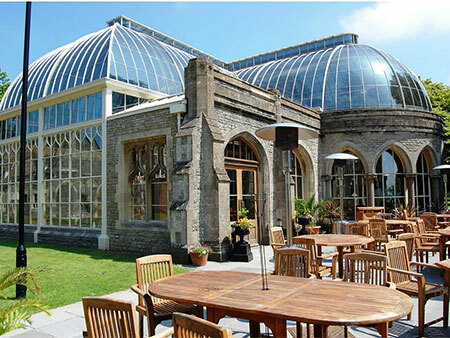 Victorian grandeur, period detailing and beautiful ornate features come together to set the stage for a range of events in The Orangery, a Grade II listed conservatory built in 1874. 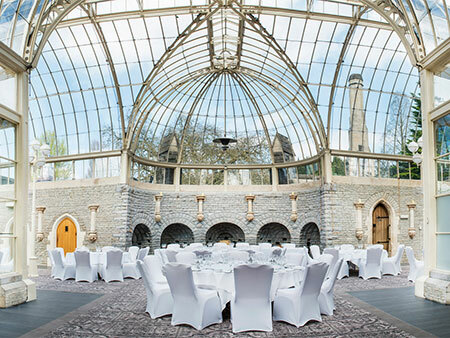 From a private dinner with friends to an intimate wedding for a hundred guests, the ornamental glass ceiling and windows along with rich heritage touches create a memorable backdrop. Standalone from the main house, there is also an outdoor dining area, ideal for summer celebrations – British weather dependable. And let’s not forget eating and drinking, curated by the Executive Chef, bespoke menus will serve your guests high-quality restaurant dining.